Very nice crew cabs guys! I wanted one but here in cali tooooo much money. I found a dually cheep. I wanted to cut the bed for a short bed. take the dually fenders off. It will be a older 4 door short bed. Somebody did!!! 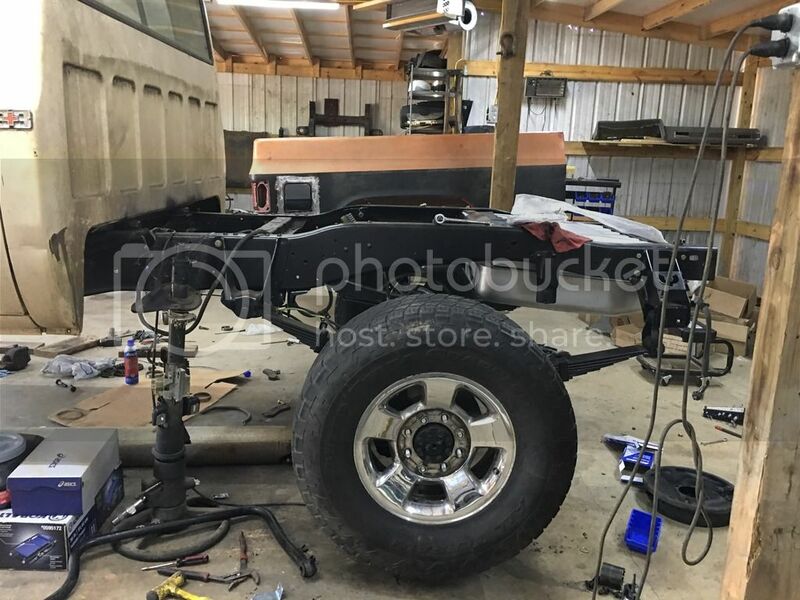 I've got a clean 86 K30 crew cab frame to set my body onto now. It's going to the blaster tomorrow and coming back all clean and pretty next week. I was about to ask why not just convert using our 1 ton 4wd crew cab conversion kit. Its about as bolt on as it gets. 2010 CTS V- The "NastyBuzzard"
Same truck from post 239. Work in progress. Coming work includes adding a drivers side fuel tank, add a white stripe (vinyl), paint the frame, tanks deck, budd front axle swap. Probably build a lower deck for it.. Steps..
Last edited by DT3Ton; 08-29-2018 at 01:41 PM. What seats are those? Cadillac? 89-91 Suburban SLE Buckets my back seat is the split middle row too. Cool. I didn’t realize the Suburban seats were so nice. My recent purchase. 1984 C30 CC/LB. Last edited by Andler2008; 10-10-2018 at 12:01 PM. Where’d you go to get that? Nothing like that around here anymore it seems. I live in Cincy, only had to drive about 45 minutes north to Dayton to get it. I feel like I got lucky with this one. No 454, but the SM465 was still installed. Interior is dirty, but complete. Rockers, cab corners and the driver side floor plan are rusted pretty heavily. Got it for $900 with a clean Ohio title. Wiring is all intact, glass is all good, no major body damage other than rust. Very happy to have been able to bring it home and save it from a potential scrap yard. Everything around here was about rusted to pieces when I was looking. Ended up going to Colorado for mine. My brake adapters are a success! 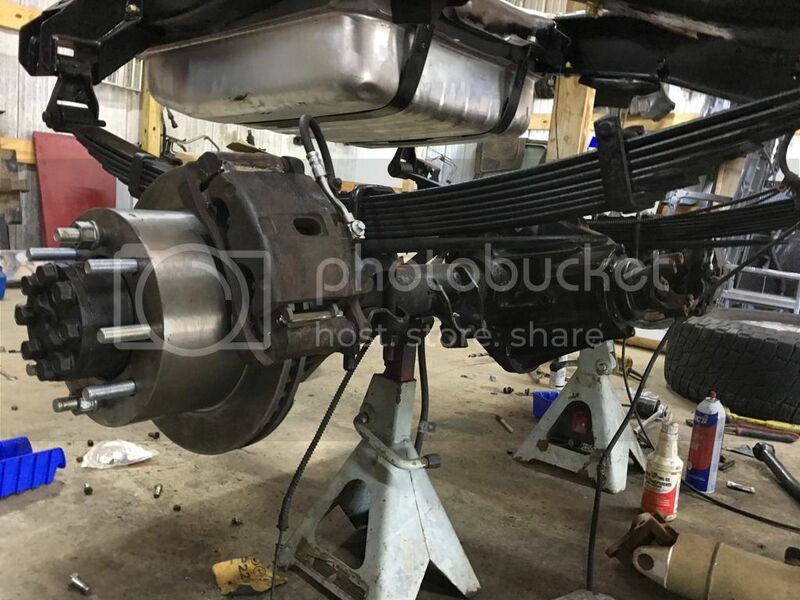 2500HD Duramax (AAM axle) brakes on my 88 14BFF! Matches the 2010 1 ton dodge brakes upfront. Sorry if this is obvious to most... newbie in Dually world (just gotmine a week ago). 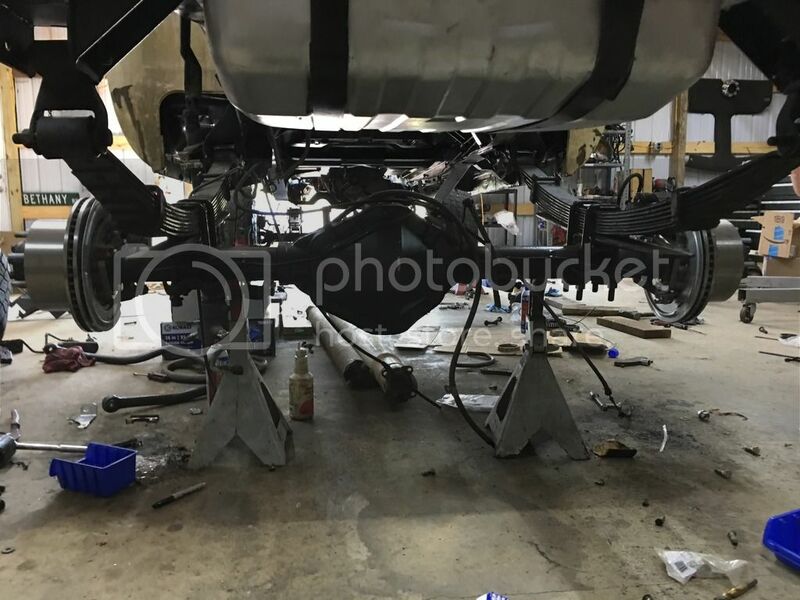 Is this a dually rear with single wheel? 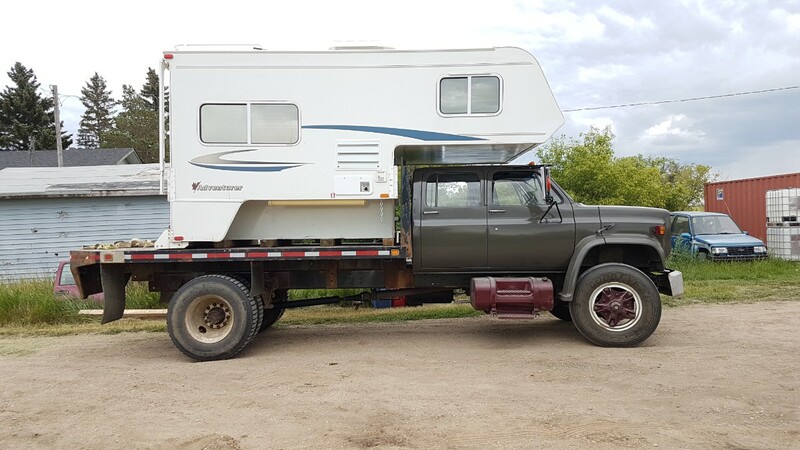 I have a cab/ chassis crew cab and the weird widthhousing is throwing me off... id like to run either a full width dually or single wheel. Your sw is what got my attention, how would i go about it if it is what im seeing? Very nice!!! Care to share tire size? Hey Leadfoot! That's my project crew cab. This is a SRW with the disc brake adapters that we make. The build thread can be found here. To me, this is the sweetest crew I have seen! But then again I am biased too! !